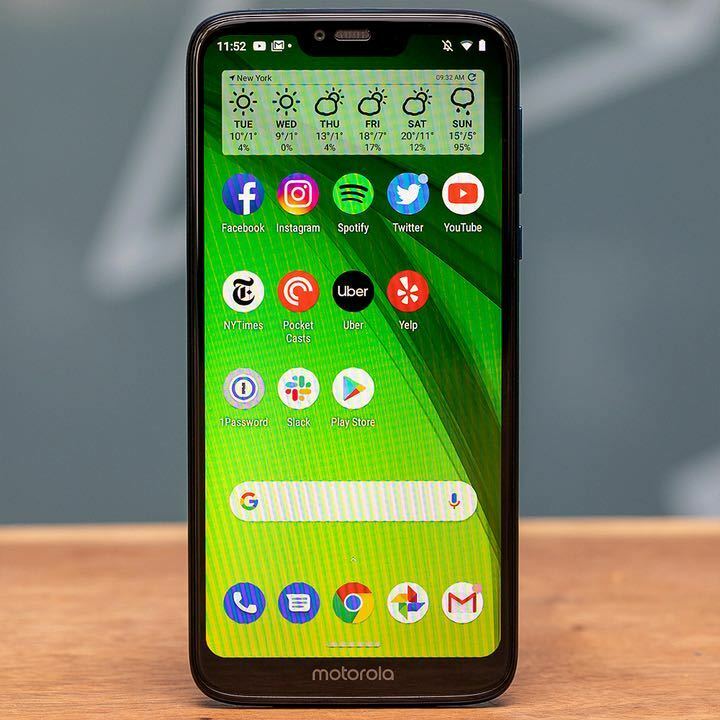 Over the last several years, Motorola has resoundingly established itself as the best option for consumers seeking an Android smartphone that’s far easier on their wallet than any flagship. 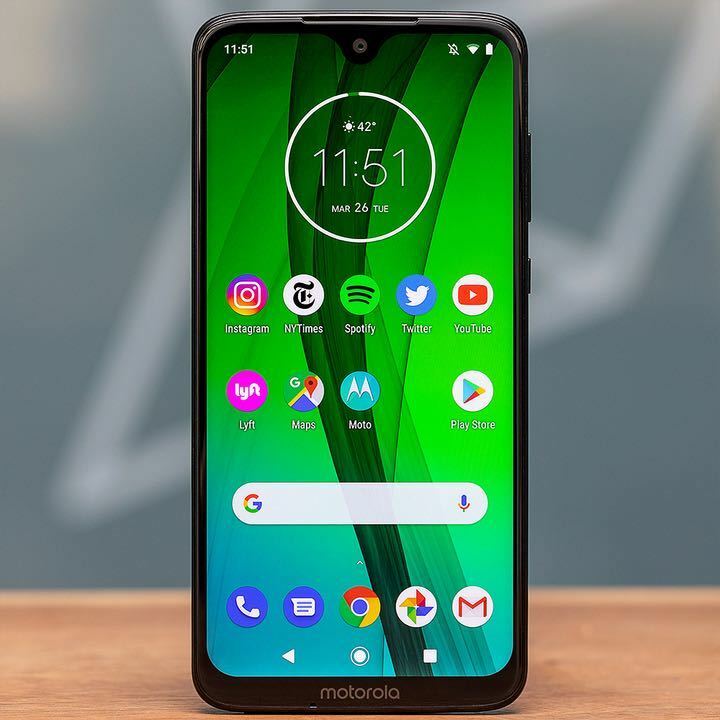 And with midrange options like the OnePlus 6T continuing to creep up in price, Motorola isn’t really facing much direct competition — at least in the United States. Elsewhere in the world, there are similarly strong options at low prices. 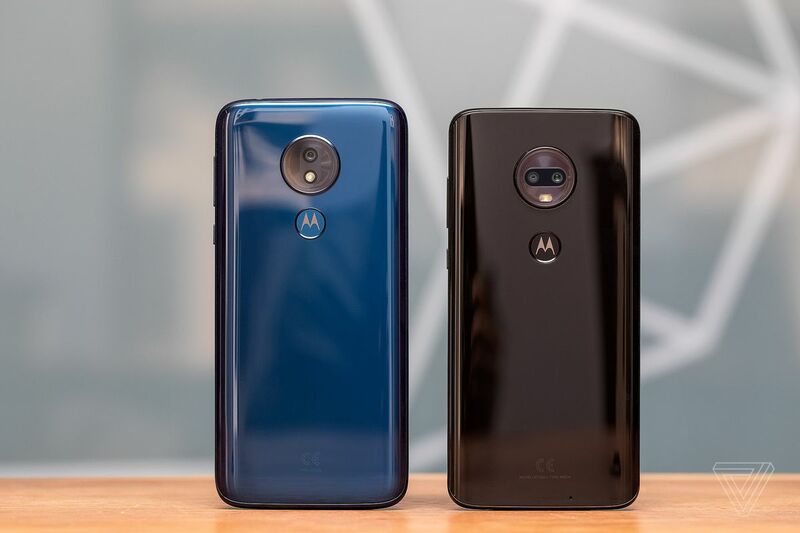 But with the 2019 Moto G7 lineup, Motorola has put forward yet another example of how it has mastered this price category: by being good enough at the essentials, even if it can’t match up with today’s best phone cameras or top-end displays. I just hope you’ve got hands big enough for them this time. There are three separate Moto G7 phones available. There’s the main $299 Moto G7, the $249 Moto G7 Power, and the $199 G7 Play. Right off the bat, I’m going to advise against choosing the last option there, the Play. It’s the cheapest of all three, but that comes with tradeoffs in build quality (it has a plastic body) and performance. The Play has the same Qualcomm processor as the other two, but offers just 2GB of RAM, which is so little that you’ll encounter multitasking frustrations and constantly be waiting for apps to reload. For those reasons, this review will focus on the standard G7 and the G7 Power, which has an enormous 5,000mAh battery as its standout feature. It’s absolutely worth spending a bit extra on either of them instead of the Play. Alot of things about the G7 are going to sound familiar. Let’s start with the screen you’ll be looking at daily. Motorola has stretched the 6.2-inch 1080p screen to a 19:9 aspect ratio by getting rid of the bottom fingerprint scanner and moving to a notched design. For whatever reason, I found the teardrop / dewdrop notch of the G7 more distracting and attention-grabbing than the wider iPhone X-style notch on the G7 Power. But that might not be the case for you. The panel is reasonably bright and plenty colorful. It skewed a bit cool to my eyes, but if that bugs you, you can get around it by just enabling the Night Light feature to a small degree to warm up the screen’s tones. Last year’s G6 had a very nice display, and the G7 has impressively followed up on that. Motorola was efficient in designing it, but the G7 is still noticeably bigger than its predecessor. 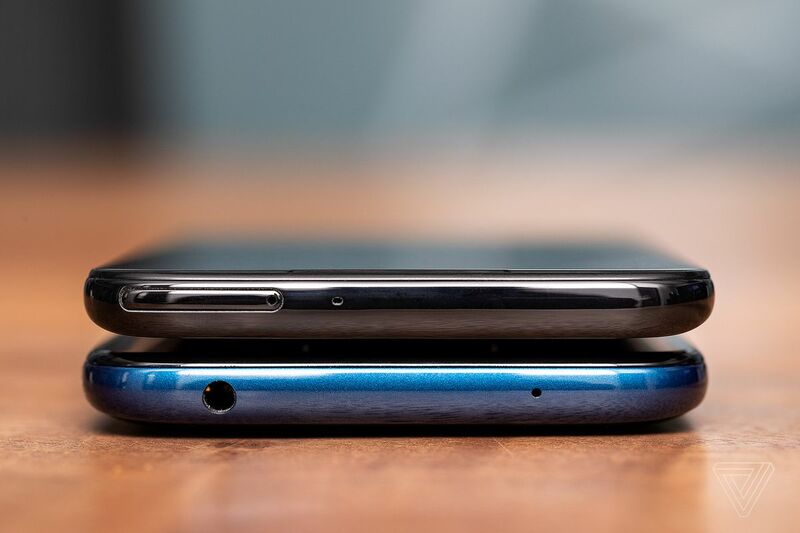 It’s over 3 millimeters taller and wider, so if you prefer smaller phones, you’ll want to factor in those increases to height and width when taking a look at the G7. 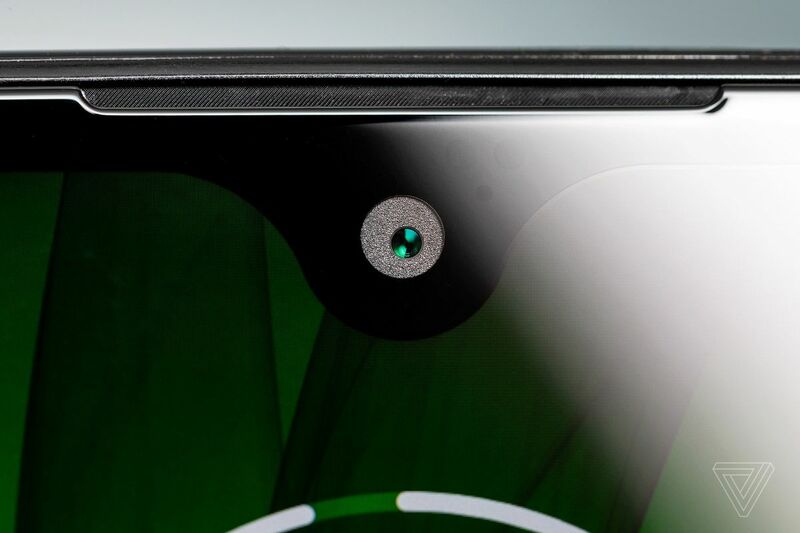 This is now a phone that’s hovering around the size of a Pixel 3 XL or iPhone XR — especially once you slap a case on it. 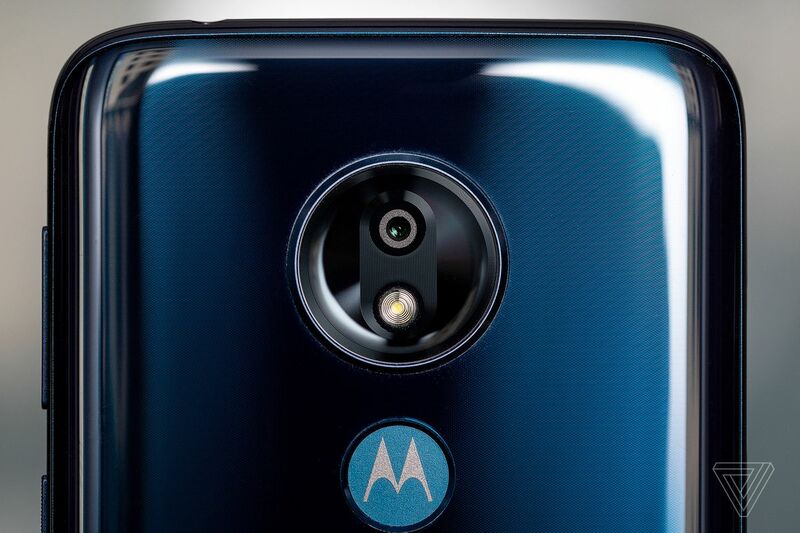 The fingerprint sensor has been moved to the back with Motorola’s M logo inside it. 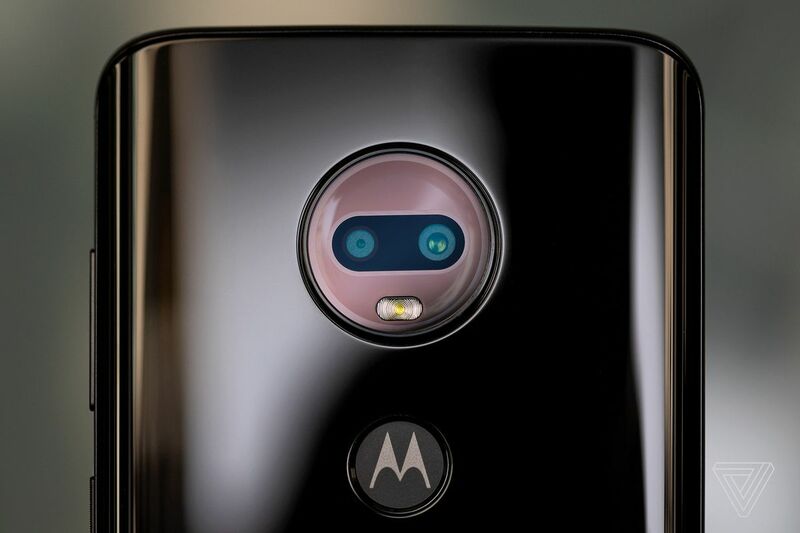 But that nice (and out-of-the-way) nod to the brand wasn’t enough, apparently, as Motorola continues to stubbornly stamp its name on the front of the phone below the display. Few companies still do this, and it’s time for Motorola to stop overdoing it. The G7 borrows a lot of basics from the G6, including a headphone jack, 64GB of built-in storage (with a microSD slot if that’s not enough), 4GB of RAM, and a 3,000mAh battery. Wireless charging and NFC frustratingly remain absent yet again, so you’re left without Google Pay / contactless payments. Motorola seems to think those are okay sacrifices to reach these prices, although Nokia managed to include NFC in its own budget Nokia 7.1 phone, so how much of a cost burden could it be? 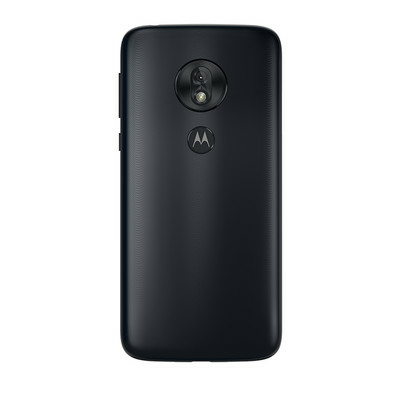 Thankfully, the Moto G7 phones support 15-watt USB-C fast charging, and Motorola gives you a charger capable of just that in the box. None of them are rated for water resistance, but they should be able to survive accidental spills or some splashes here and there. The main upgrade is processing power: Qualcomm’s Snapdragon 632 is a snappy performer and showed no signs of trouble using and hopping between everyday apps during my review. Overall polish and animation smoothness can be a beat behind flagship-level phones, but it never impacts usability. However, if you were hoping a $300 phone would be a gaming powerhouse, you’ll be disappointed. The G7 can certainly run titles like PUBG Mobile, but can run into sluggishness even on the lowest graphics settings. Still, casual games run well and I’m happy with the G7’s overall performance and odds of maintaining that dependability for the next couple years. Camera-wise, the G7’s setup isn’t far off from what was inside the G6. You get two rear cameras — a 12-megapixel f/1.8 primary camera and 5-megapixel sensor that’s there strictly to collect depth data for portraits. Up front there’s an 8-megapixel selfie camera. Image quality is also very similar to last year, albeit with some new modes tossed in. Those include auto-smile capture, which triggers a shot when everyone in the frame is smiling, and high-res zoom, which claims to restore the quality often lost when zooming in digitally. The first is useful, but all the latter really does is over-sharpen the end photo to try to create detail that’s not really there. The G7 can also record 4K video, which is something the G6 couldn’t do. 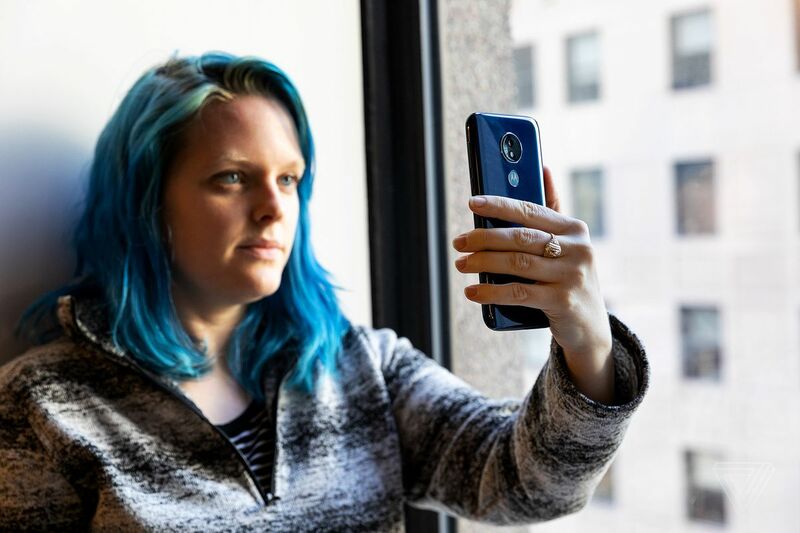 The story here is true to Motorola’s usual camera results: your shots will look perfectly fine in good lighting conditions, with good color reproduction and a pleasant, balanced exposure. But the G7 just won’t hold up next to any of today’s top-tier phones in low light. In an otherwise solid $300 package, the camera still reminds you that you’re holding a less-expensive phone. Images from the front-facing camera are also a bit more smudgy and dull than I’d prefer. 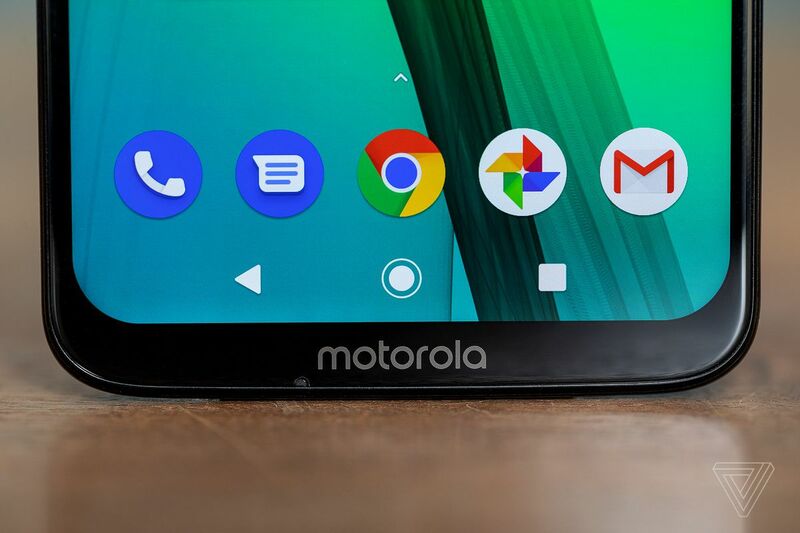 The G7 lineup runs Android 9 Pie with Moto’s usual unobtrusive additions and useful quick gestures for opening the camera (with a twist of the wrist) or activating the flashlight (with a chopping motion). Soon they’ll even gain the Pixel’s excellent Call Screen feature. And unlike Google, Motorola has really nailed navigation gestures. You can tap the bottom bar to go home, slide it left to go back, or swipe right to alternate between the two most recent apps. Swiping up on the home indicator will open multitasking, but you can swipe up anywhere on the home screen to access the app drawer. This approach feels very natural and takes little time to get used to. 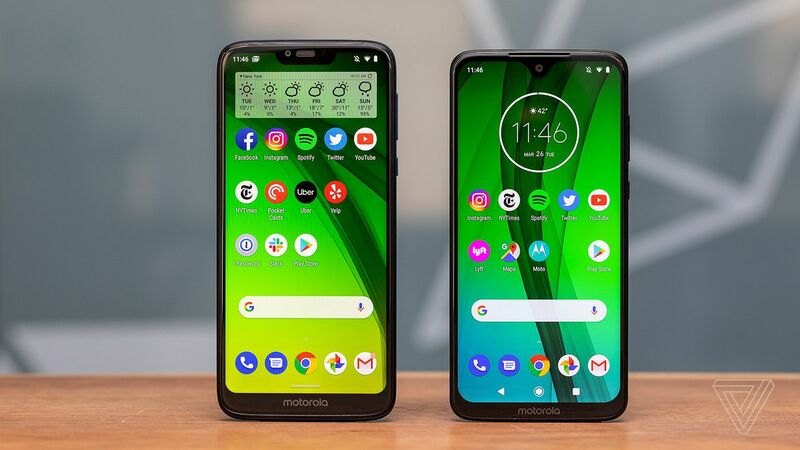 Motorola is inconsistent at delivering timely software updates, however, so buyers shouldn’t expect a prompt upgrade to Android Q (or even a steady rate of security updates). The $250 Moto G7 Power has one major advantage over the standard model: legitimate two-day battery life. By cramming a 5,000mAh battery into this thing, Motorola has produced a phone that can carry forward the battery-champ reputation of the original Moto Z Play. The G7 Power is noticeably thicker and heavier than the G7 as a result of that beefier battery, but for people who want a phone that lasts without having to deal with a battery pack — or have a job where doing so is impractical — that shouldn’t be a major hurdle. The G7 Power will easily sail through two business days of frequent fundamentals (Instagram, Spotify, Gmail, Google Maps, plenty of texting and calls, etc.) before needing a recharge late on that second evening. If your phone usage leans more light, you might be able to push it into a third day. But there are a few reasons why this battery monster is less expensive than the G7, which just exhibits standard get-you-through-the-workday longevity. The most obvious is a downgraded screen, with a resolution of just 1570 x 720 stretched across the same 6.2-inch size. It’s not so bad that you’ll be noticing individual pixels, but text and icons definitely feel less sharp to the eye compared to the G7 and its 2270 x 1080 display. Does it ruin the phone? No, not at all. Shedding some pixel density only further improves battery endurance. But if you’re a stickler for sharpness, it might be a bummer. This isn’t a phone for using right up close to your face. Aside from the screen, the G7 Power loses a gigabyte of RAM (for 3GB total) and ditches the back camera’s depth sensor. Neither of these tradeoffs really mattered much to me. Motorola’s phones aren’t very good at portrait mode, and 3GB of RAM seems to be enough to keep Android working without any trouble.